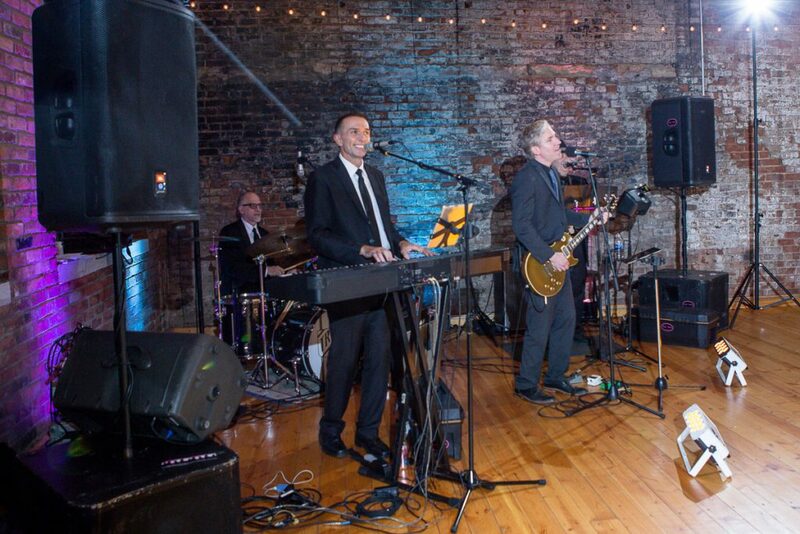 The band or DJ can make or break your wedding reception or event. If you book, The Chuck Taylors, for your next event or wedding you are guaranteed to having one fun party! We have worked with them several times and they never disappoint! Not only do they sound amazing but they know how to work the crowd and get everyone up dancing. I recently talked with Greg Lee to find out more about this talented Cincinnati band. Check out his interview to learn more! A – The most popular dates book as far as 18 months in advance. A – We offer musical services for every element of the event, including cocktails, dinner, and dance. We can even play for the ceremony if needed. I serve as The Master Of Ceremonies and direct the flow of the event. The Chuck Taylors offer unlimited hours of service, no maximum. Of course, we include instruments and sound system. A – A local wedding planner once dubbed The Chuck Taylors as ‘Yes, we can do that’ band, as we are game for just about anything. We are willing to customize song lists, learn songs, assist with surprises, you name it, we will do it. A – Wow, this is a tough one. We recently had a client whose family is very musical and, of course, we wanted to include everyone possible. So, throughout the night, we invited the family members to join us. At one point, there were 14 people on stage with us. It was great. A – We had a client who requested a 30 minute Hora (Hava Nagilah). We played a medley of Klezmer music for 37 minutes straight. I’m fairly certain it is a world record, but we never followed up with Guinness to verify. Q – What makes The Chuck Taylors unique? A – Good question. We play non-stop, with no down time between songs, much like a DJ. Our dance sets are sometimes 3 hours – with no break – with lots of mash ups and medleys. While we work from a list of “Love It, Hate It” provided by the client, we never use predetermined song lists. Instead, we play music for the crowd in front of us at the time. Oh, and we take requests most of the night, too. A – To keep entertaining and keep making the musics. Click here to find out how you can have The Chuck Taylors perform at your next event! Click here to find out how you can have AJ Studio – Photography by Angela and Jaime photograph your next special event or wedding. This entry was posted in Wedding Photography and tagged Cincinnati Wedding Band, Cincinnati Wedding Photographers, Cincinnati Wedding Photography.